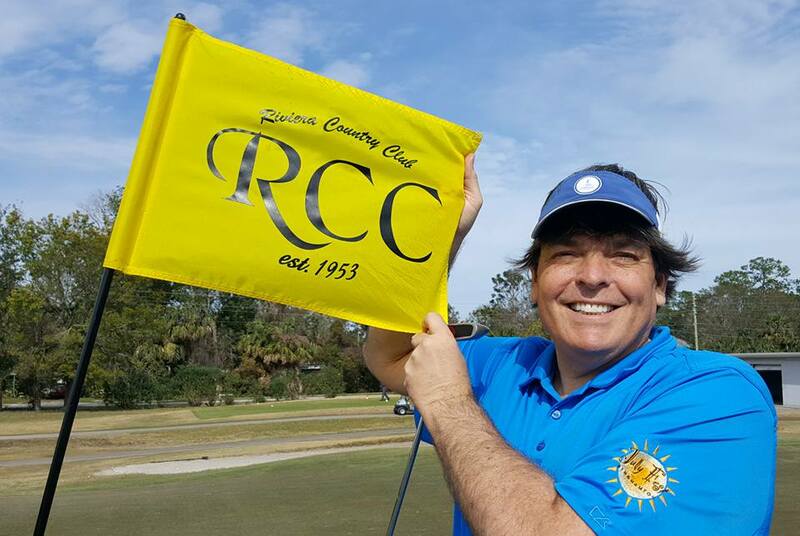 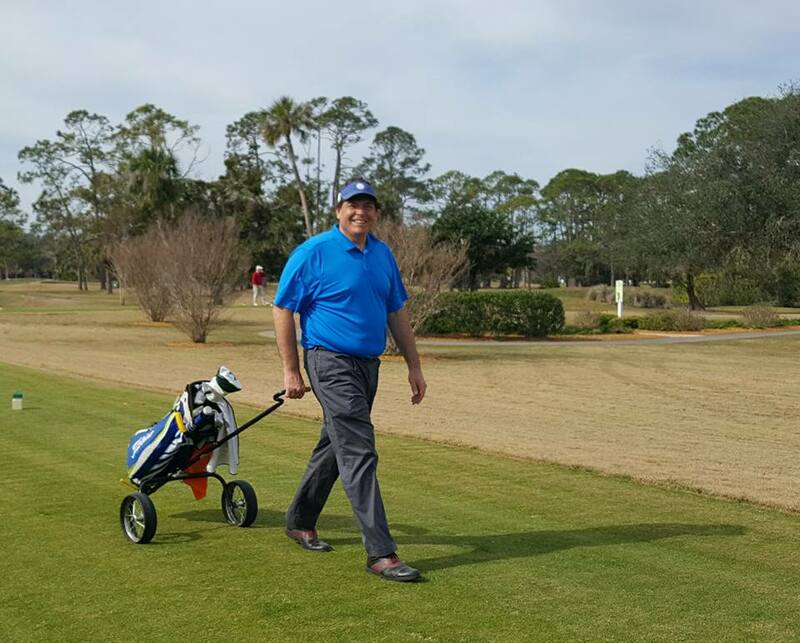 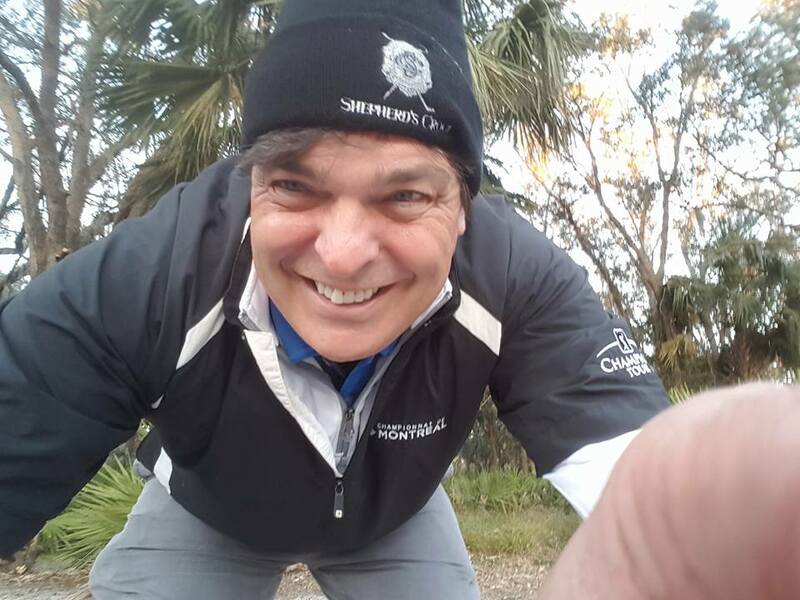 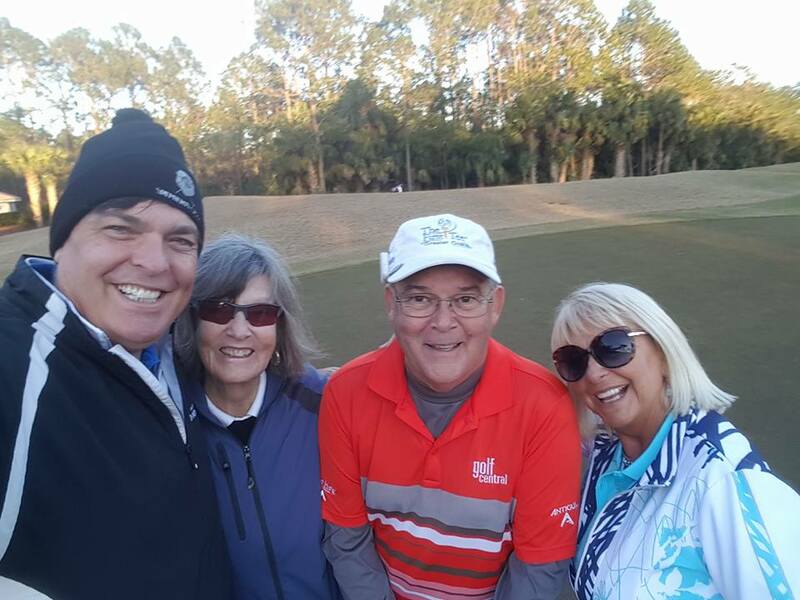 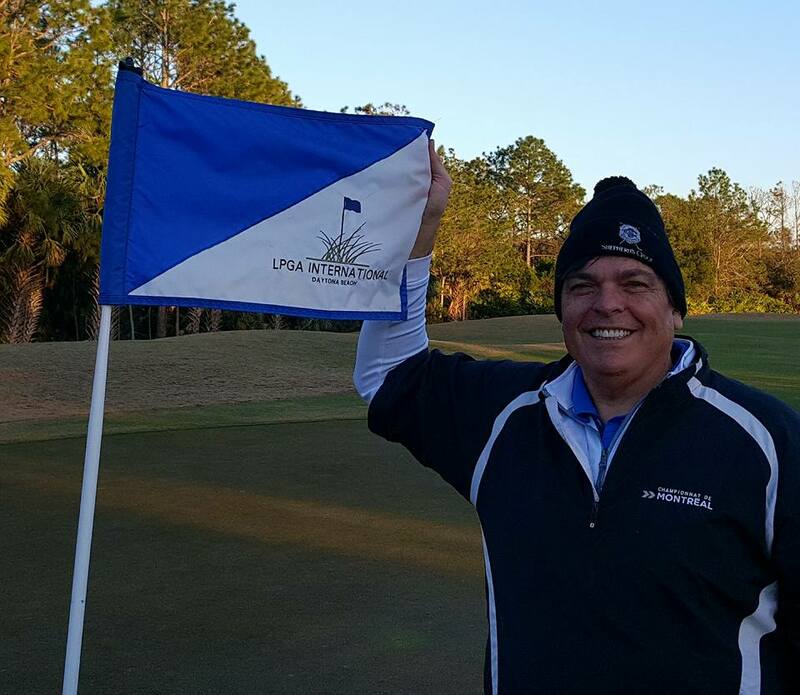 CLICK HERE for the PLAY-by-PLAY on Social Media of Andy’s Daytona Golf Trip! 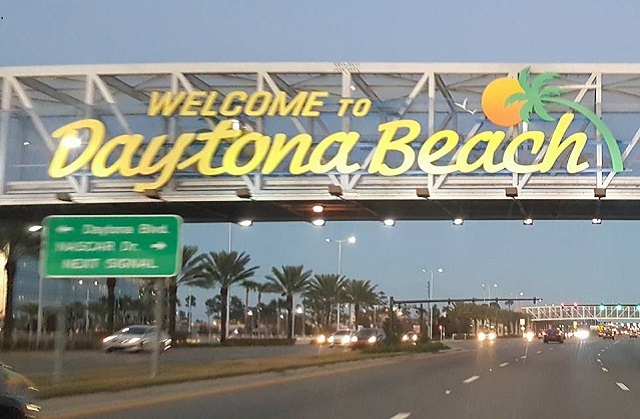 Yes, we all know Daytona Beach for the Daytona International Speedway and the Daytona 500! 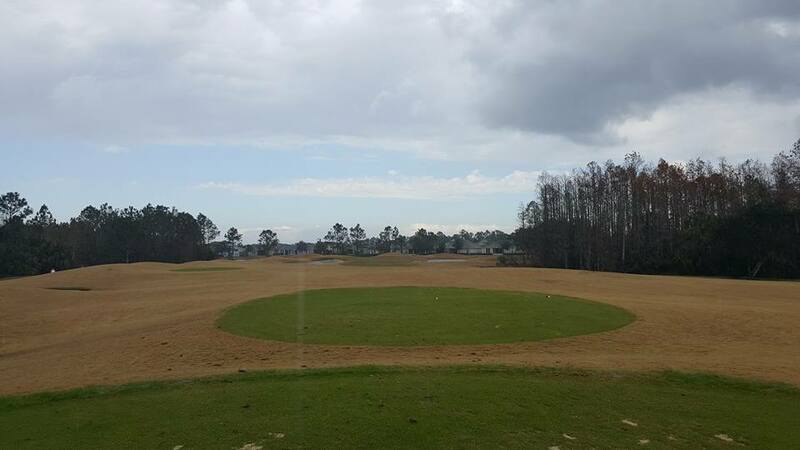 But did you know that Daytona Beach is also a Golf Hotspot in a state that is Golf Heaven? 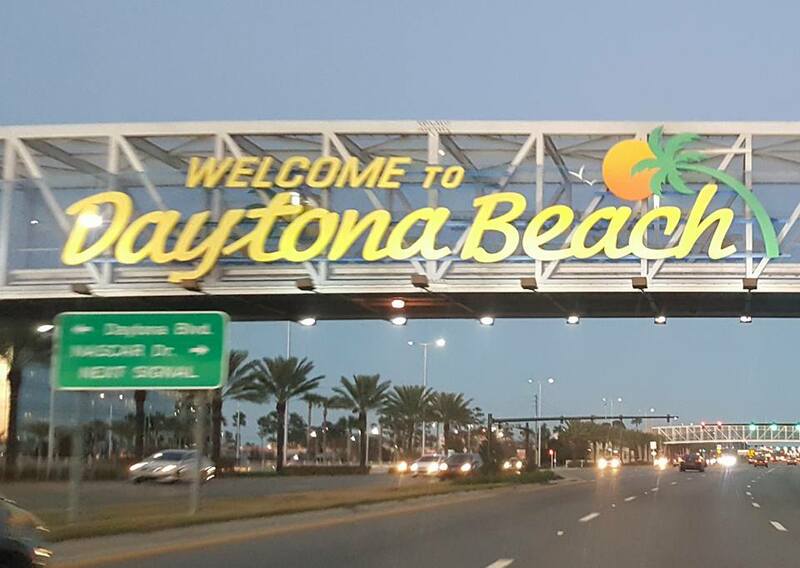 In fact, the only thing that is the same these days in Daytona Beach is the 23 miles of the world’s most famous beach! Not even the iconic Daytona International Speedway is the same anymore! 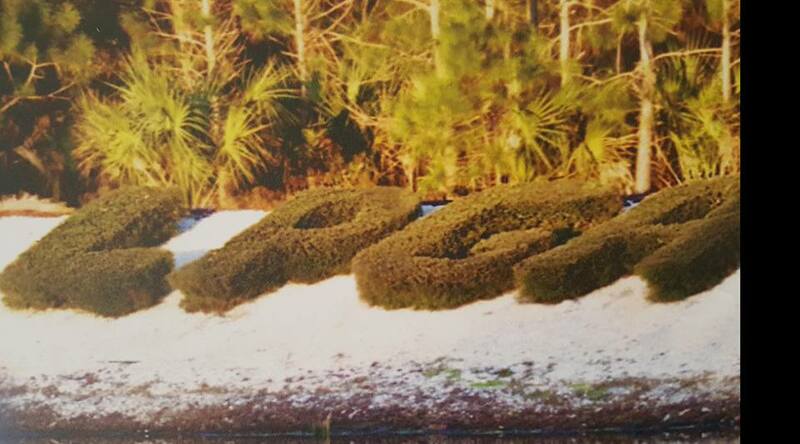 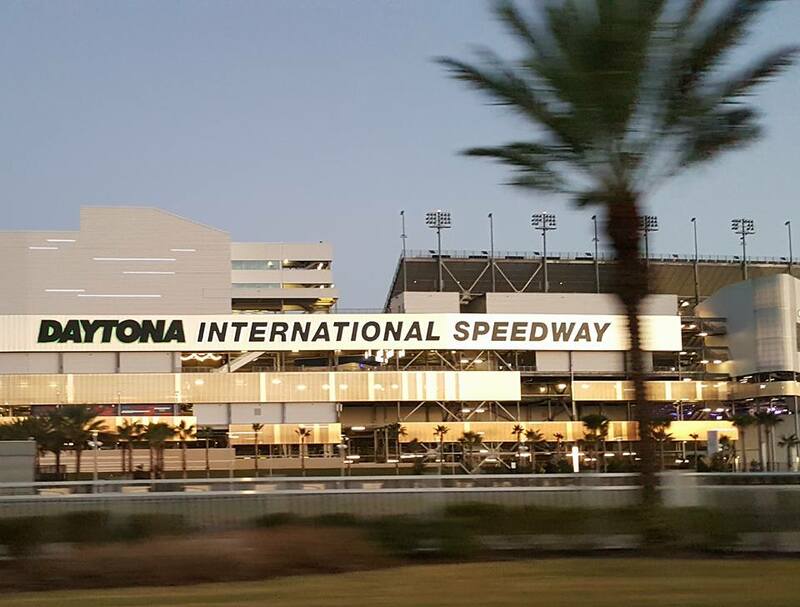 Always home to the Daytona 500 and other races year-round, the speedway is no longer standing alone. 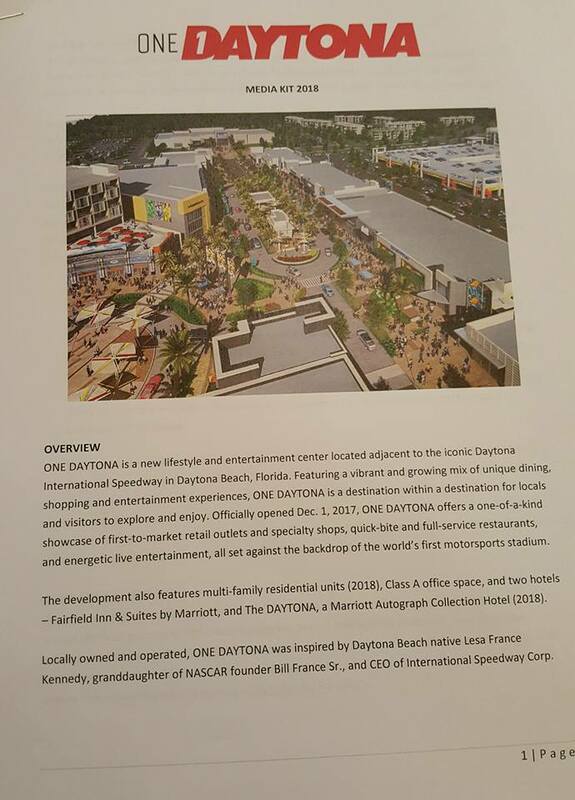 ONE DAYTONA, a new lifestyle and entertainment center is located right across International Speedway Boulevard. 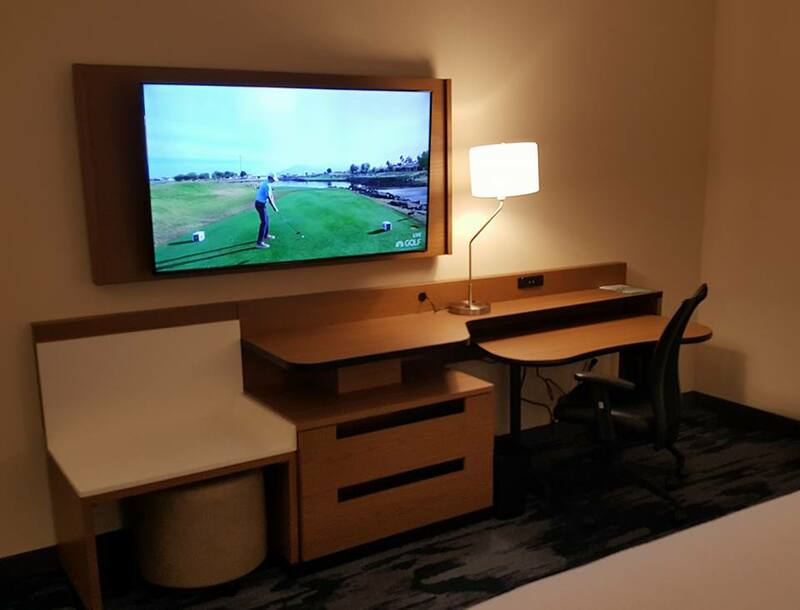 ONE DAYTONA opened in December 2017 and is 70 acres BIG with all the fun, entertainment, culinary, and lodging experiences you could ever want with even more on the way! 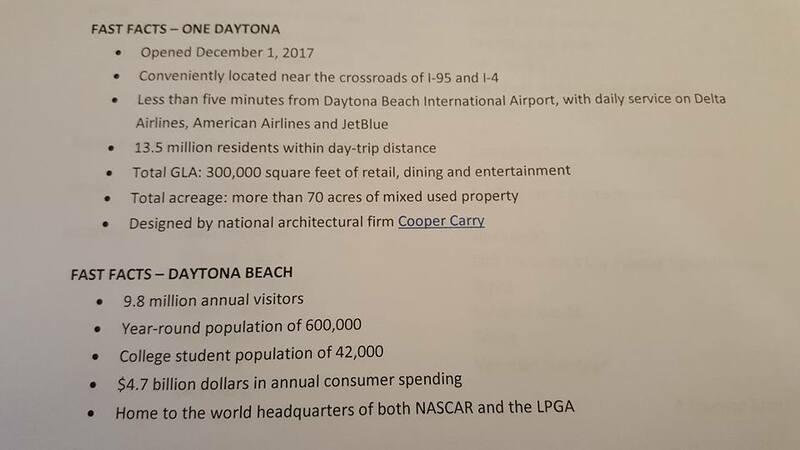 In fact, ONE DAYTONA is a vision of tomorrow—you can live and work there too! 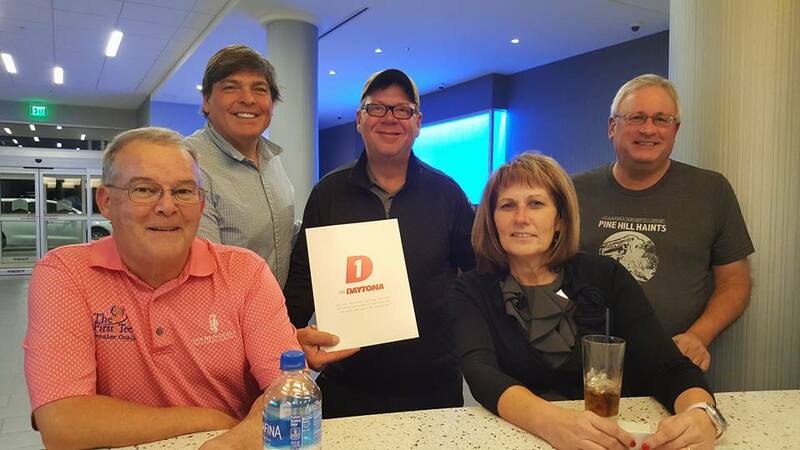 The GTWA Gang with Nancy Guran in the lobby of the brand spanking new Fairfield Inn & Suites at ONE DAYTONA! 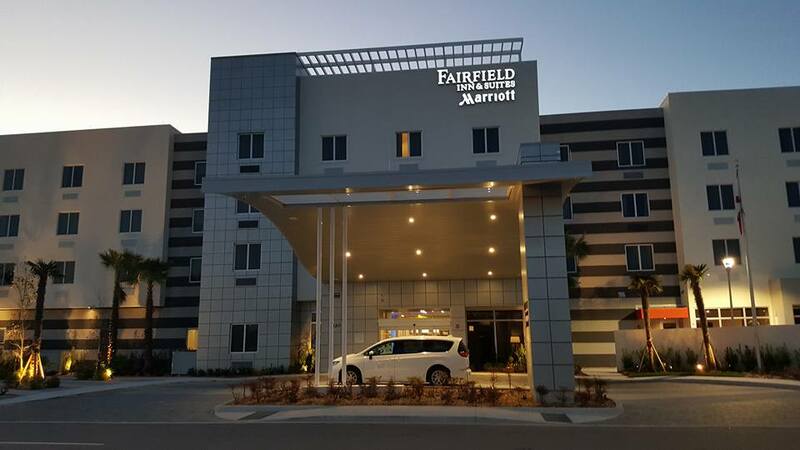 My “Speedway to Fairway” visit was quite thrilling as our Golf Travel Writers’ (GTWA) group was part of the official opening of the 105-room Fairfield Inn & Suites. 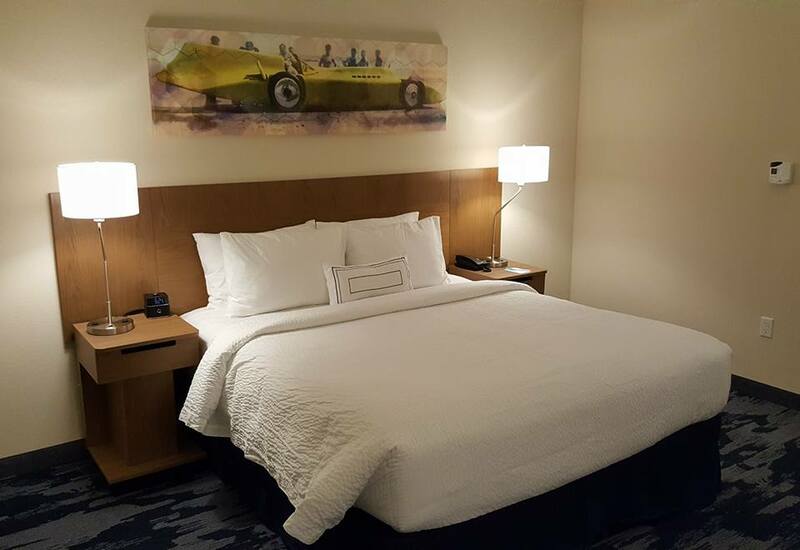 This hotel is an over-the-top Marriott property with its Daytona themed lobby bar plus the comfort, convenience and high-touch service you expect of Marriott. 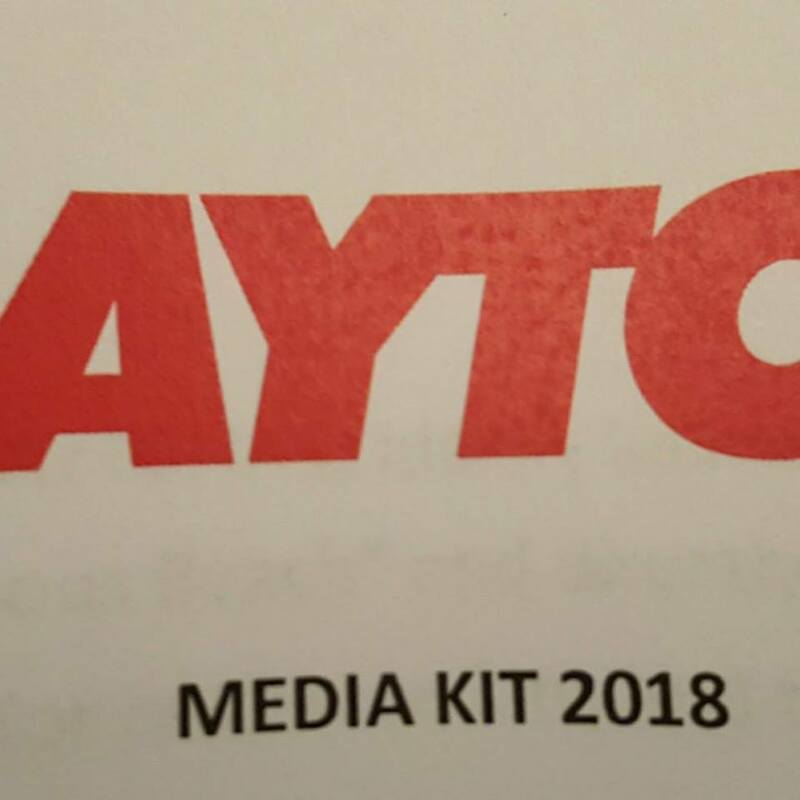 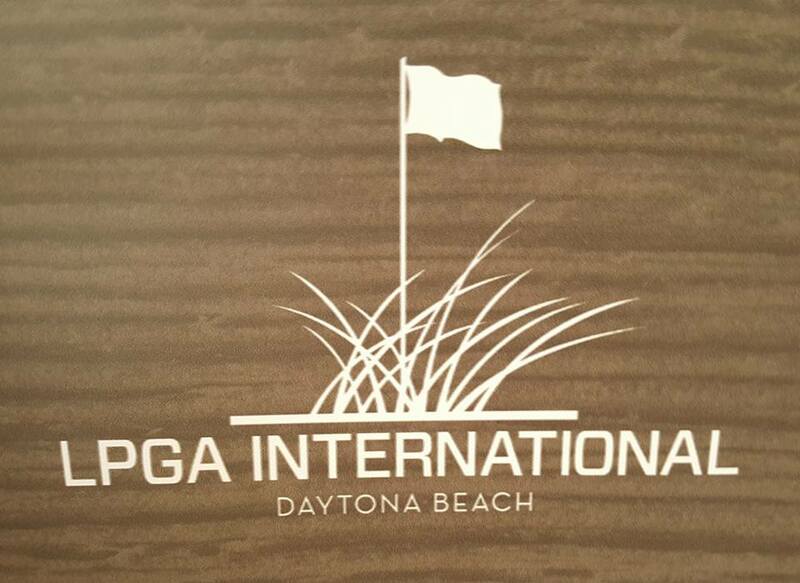 Additionally, The Daytona, a Marriott Autograph Collection Hotel with 145 rooms will be opening later in 2018. 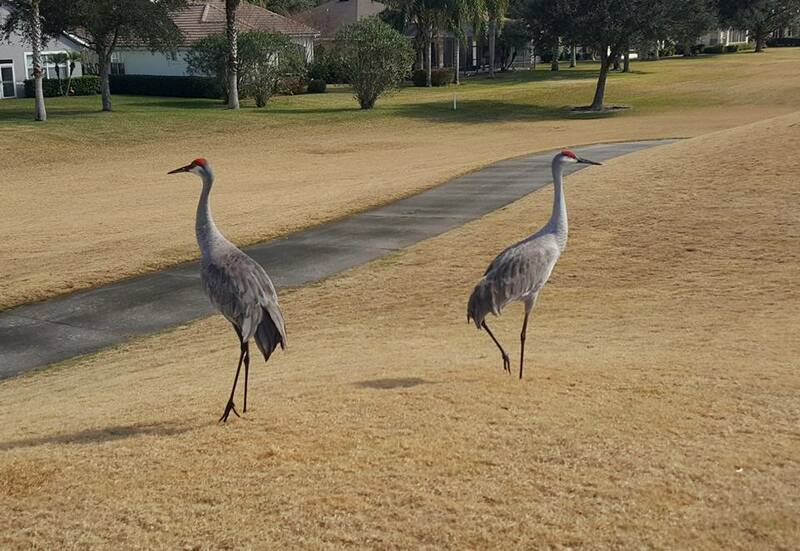 Enough of the Speedway, let’s get to the Fairway! 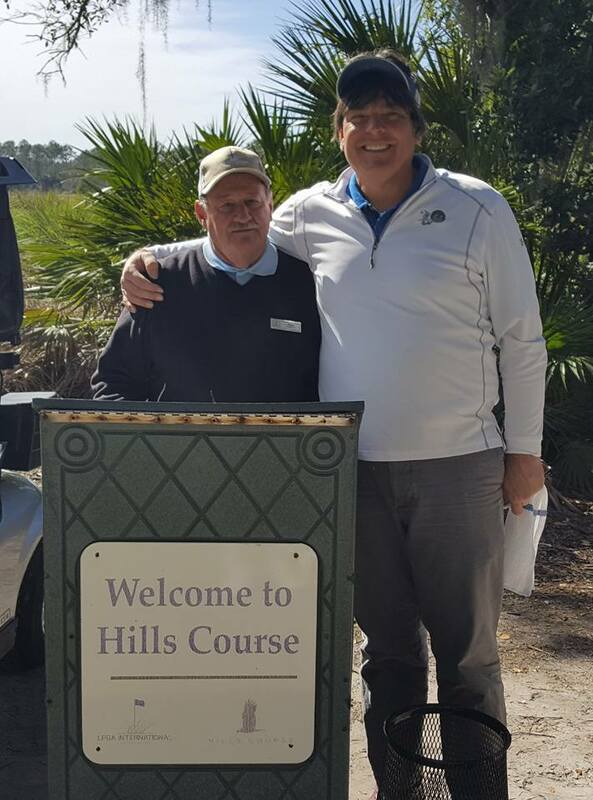 Our Daytona Beach visit started with a Friday afternoon round on the signature Arthur Hills ‘Hills Course’ at LPGA International. 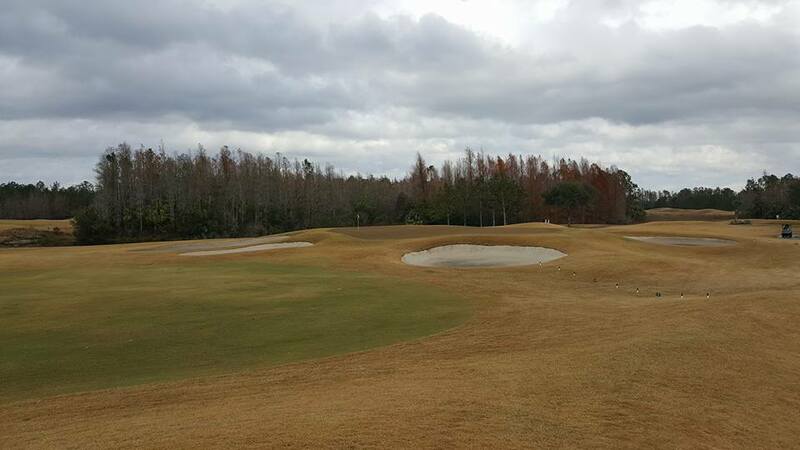 We’ll save the companion signature Rees Jones ‘Jones Course’ for Sunday at the end of our visit! 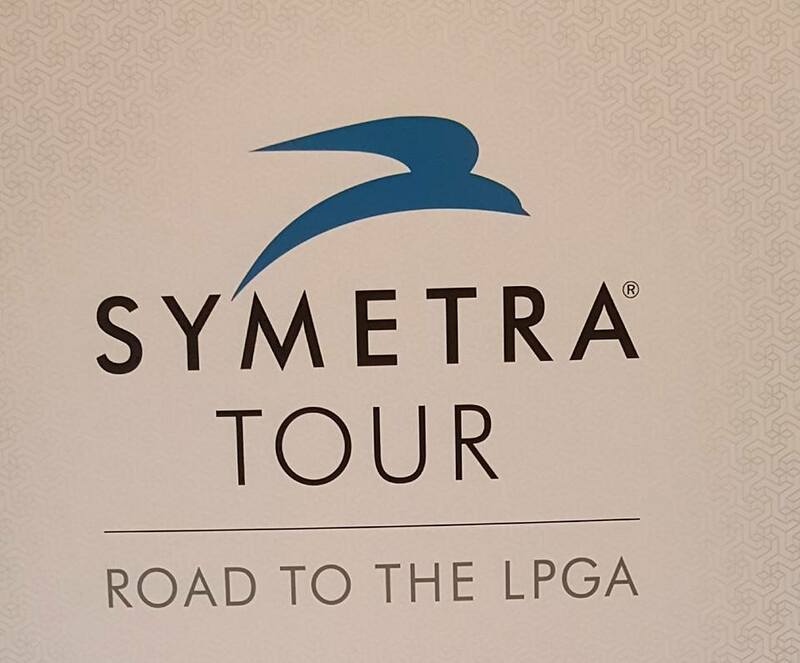 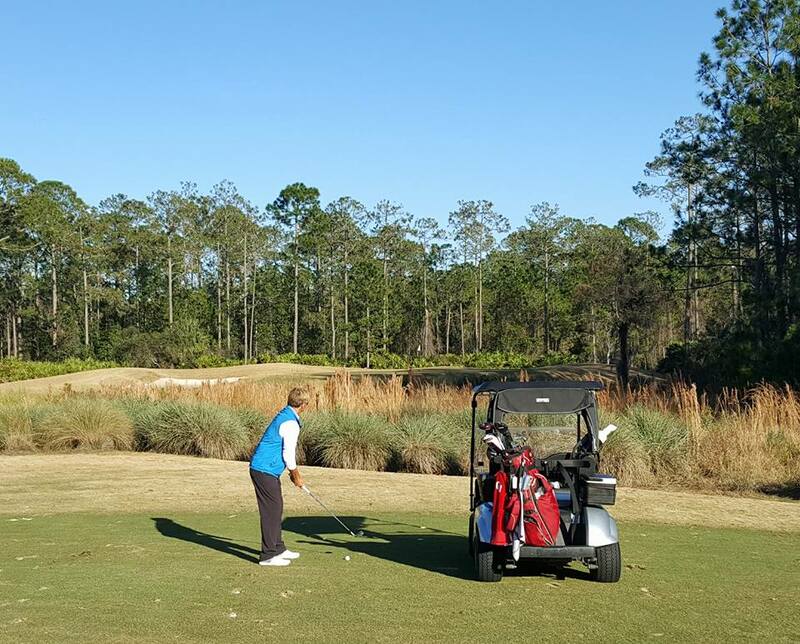 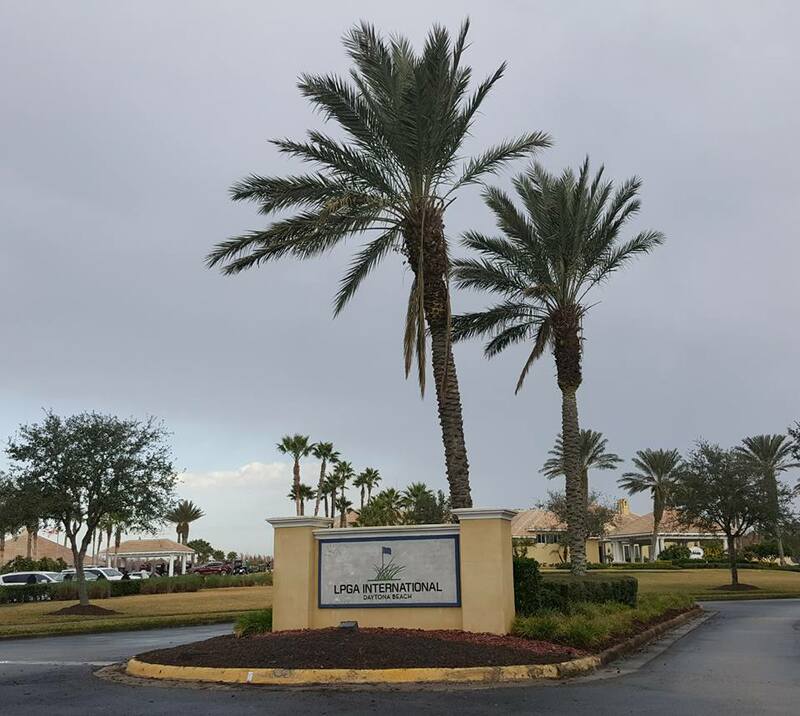 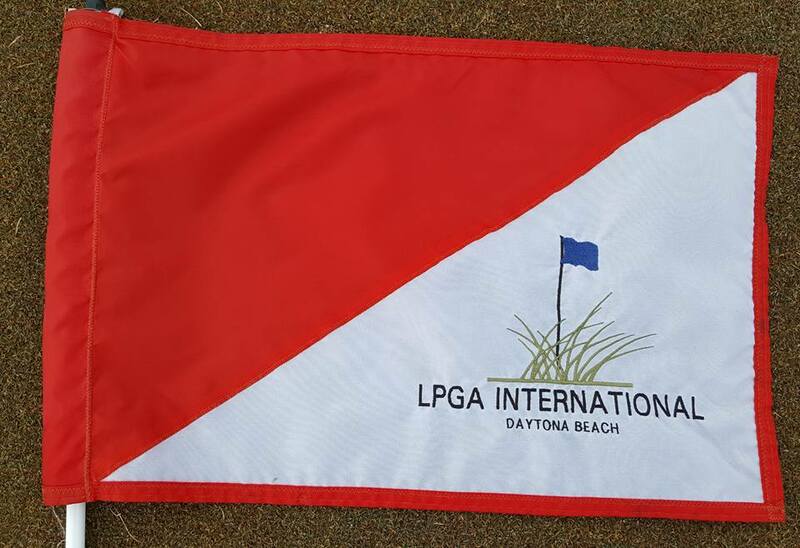 Bookended with two world-class golf courses at LPGA International is our weekend vacation in Daytona Beach! 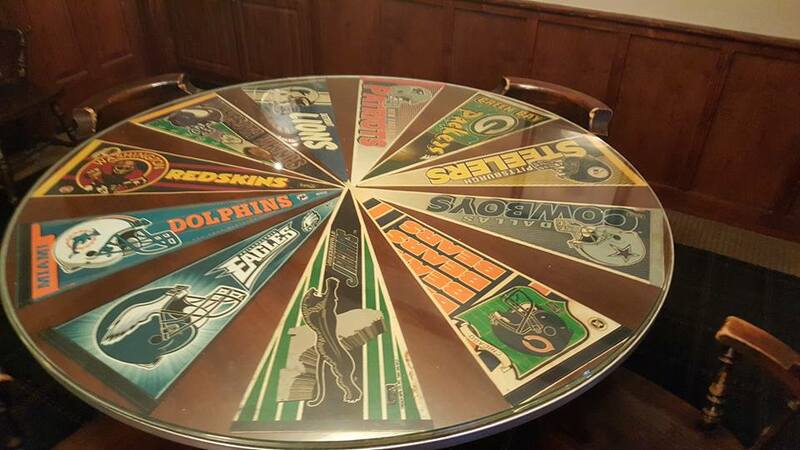 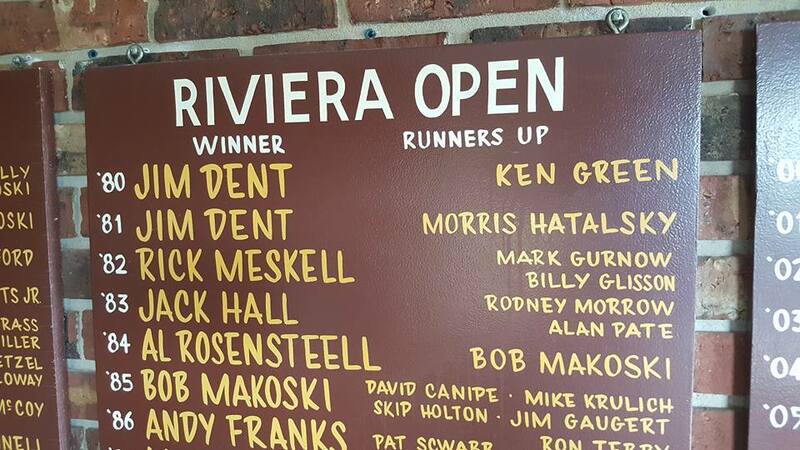 It doesn’t get much better than that especially when you see where we played in between! 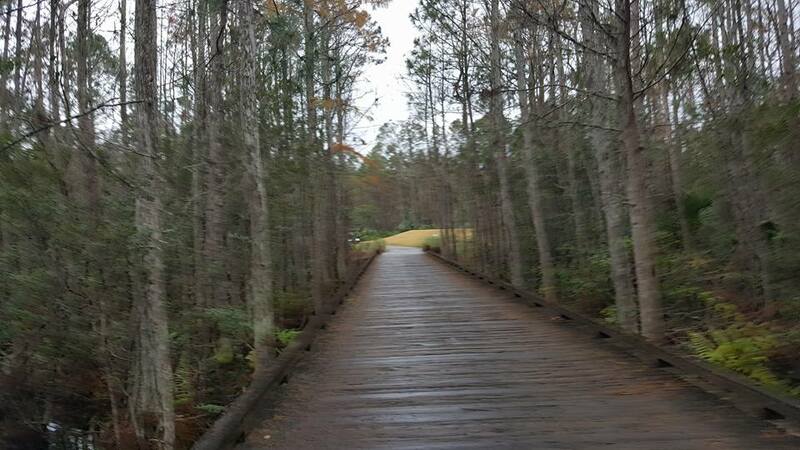 A forced carry on the sporty dog-leg-right par-4 4th hole on the Jones Course! 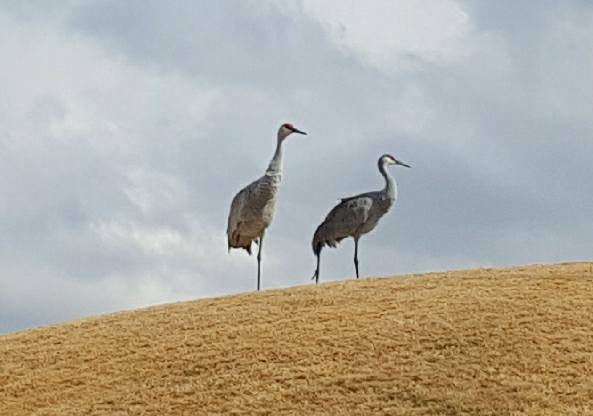 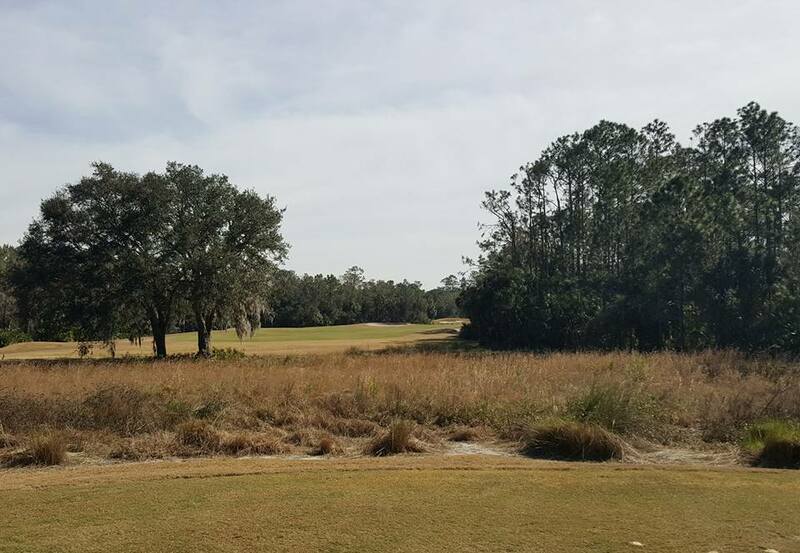 The Hills course opened in 1997 three years after the Jones Course and it is spectacular! 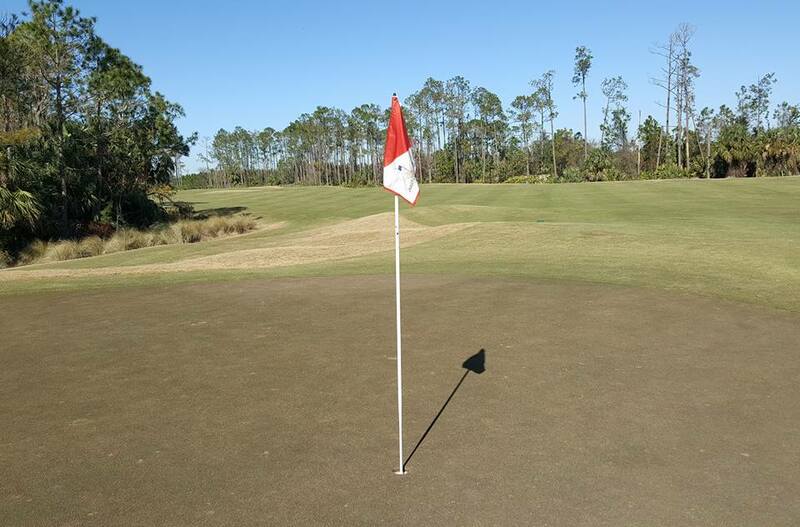 Classic design, yet modern in playability, like the Jones Course the Hills Course comes equipped with Tift Eagle Bermuda greens. 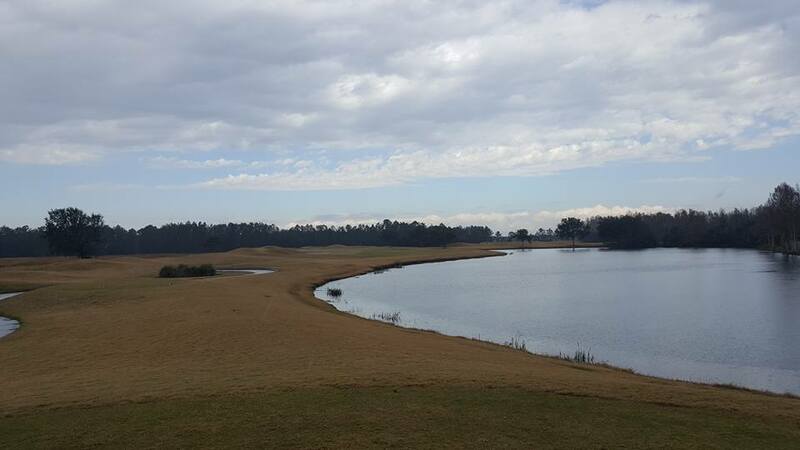 There is a wide range of challenging shots on this Arthur Hills masterpiece as it takes you through natural wetlands and narrow fairways cut through pine forests. 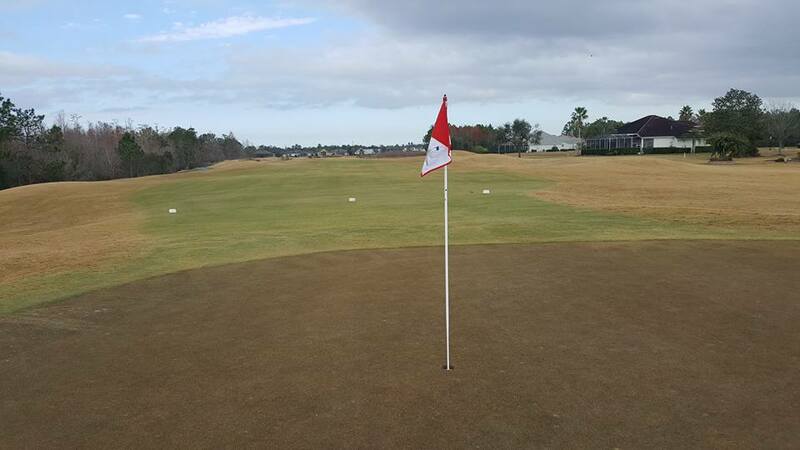 The greens are reasonable in size but appear small from the fairway thanks to the genius of Arthur Hills. 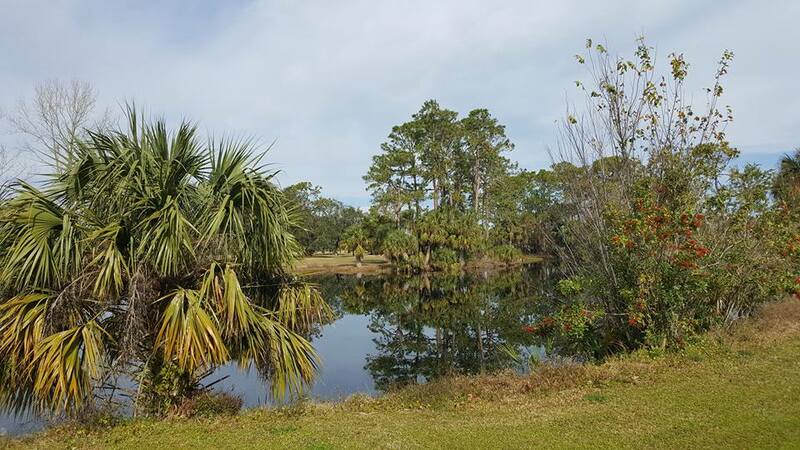 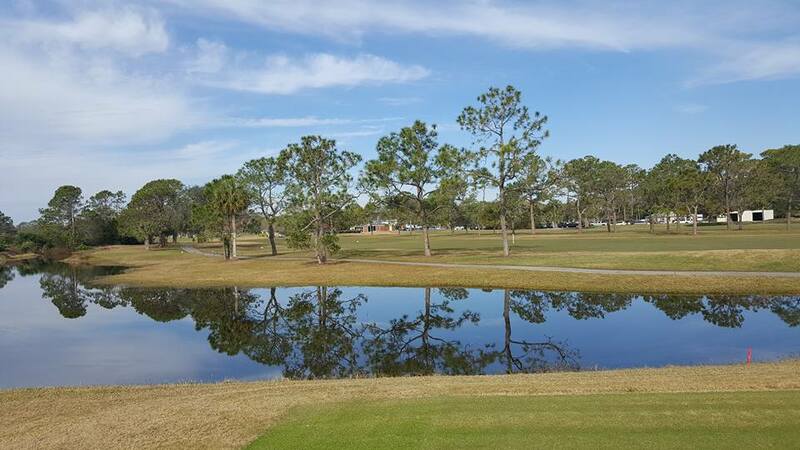 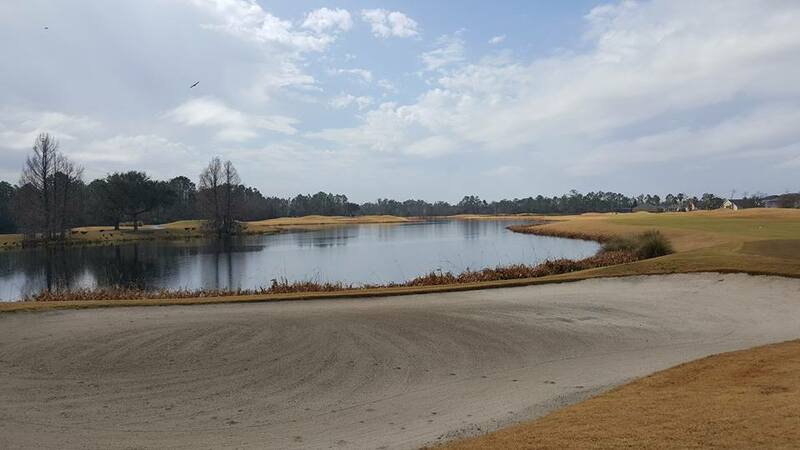 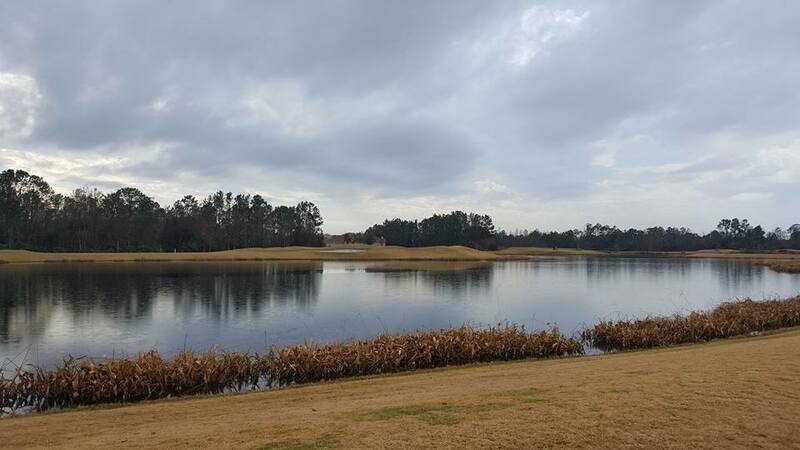 Strategically located water hazards can be the challenge on this golf course! 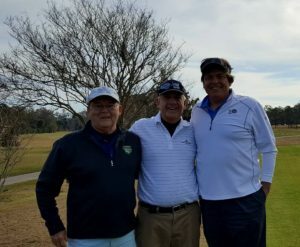 My first round of the year played with my GTWA golfing buddies Gregg DeWalt and Danny Scott ended nicely with a 30-footer finding home and a birdie-3 on the 9th hole, our last. 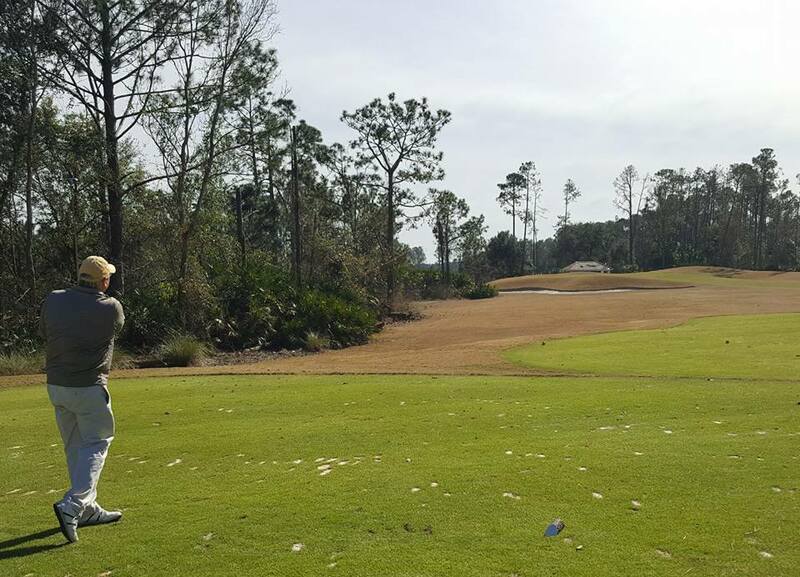 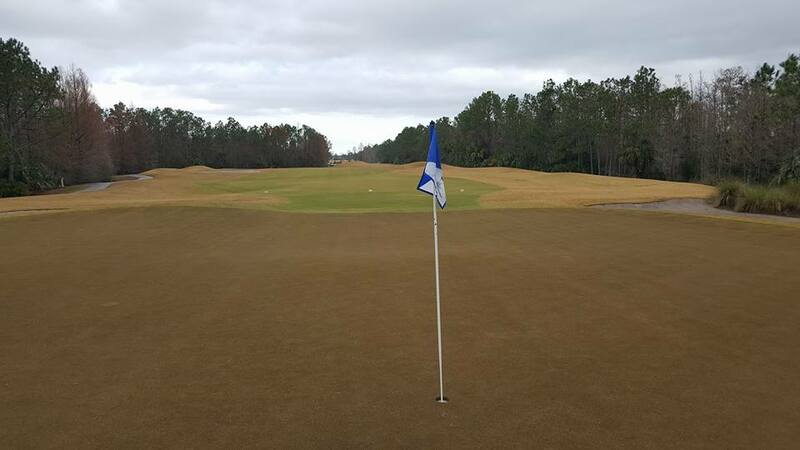 No better feeling than to play golf in Florida in mid-January and get to feel that unique golfing spirit within! 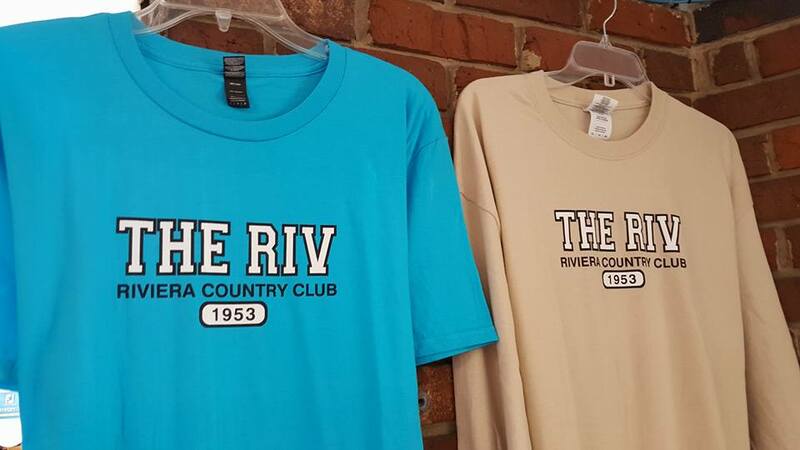 ‘The Riv’ awaits and welcomes you! 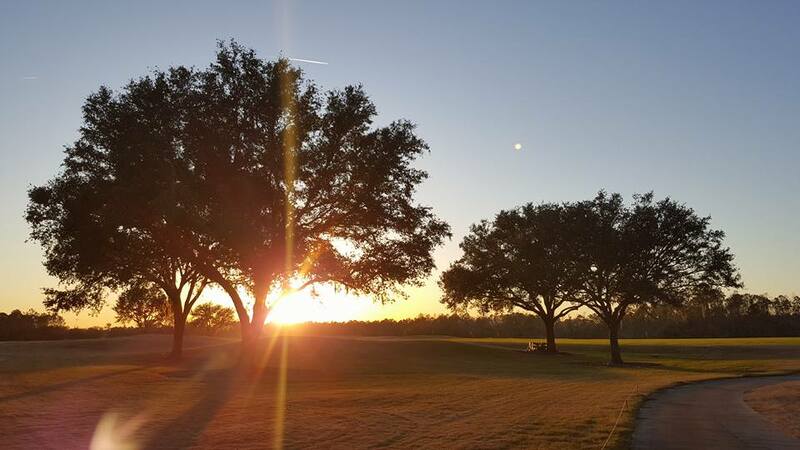 Saturday was a spectacular day! 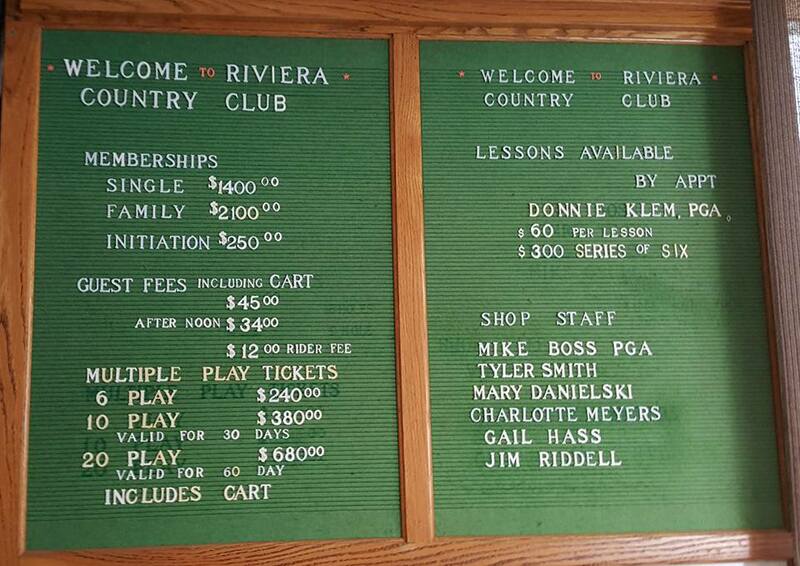 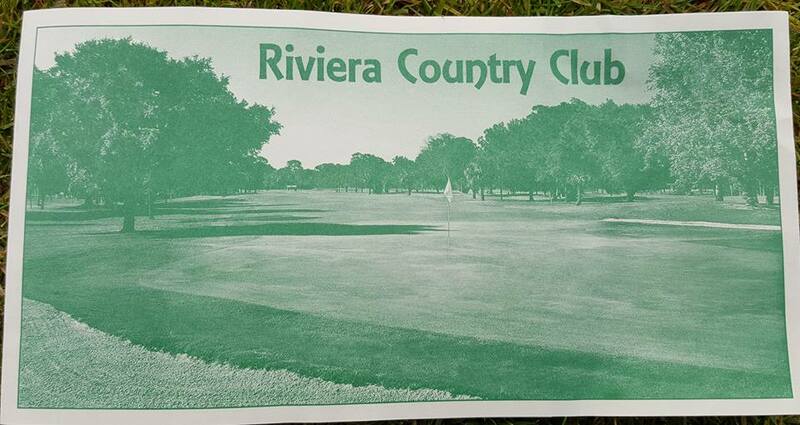 Instead of revving up my golf game I ‘Riv’d’ it up a bit by playing ‘The Riv,’ the historic Riviera Country Club! 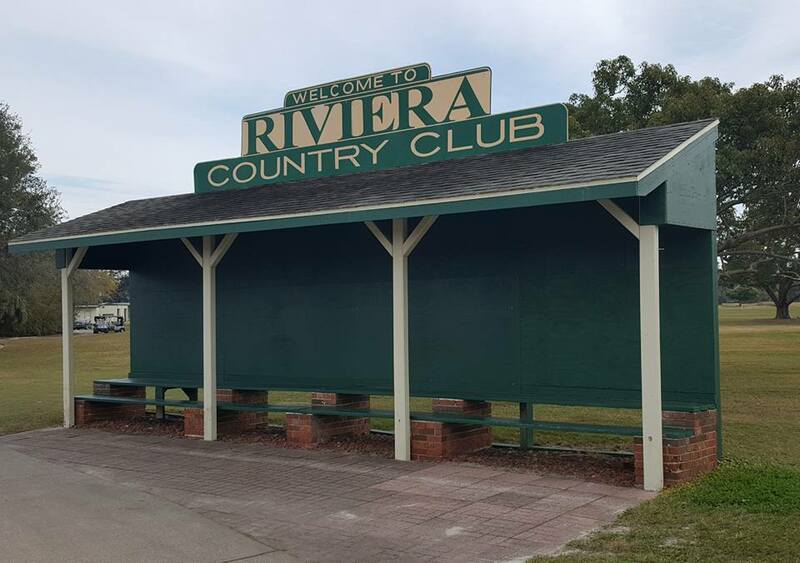 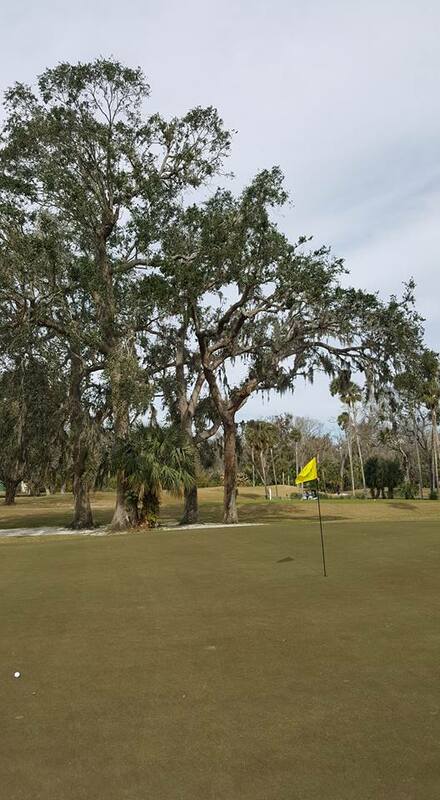 Playing ‘The Riv’ is a must-do if you find yourself anywhere near Daytona Beach. 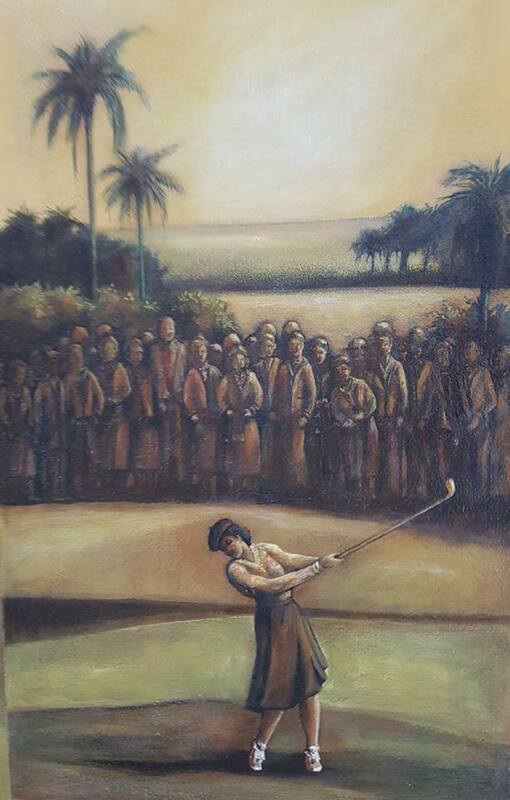 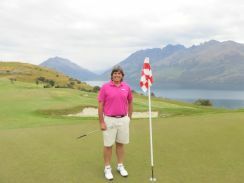 This golf course is golfing history, a golfing tradition that cannot be duplicated anywhere in the world. 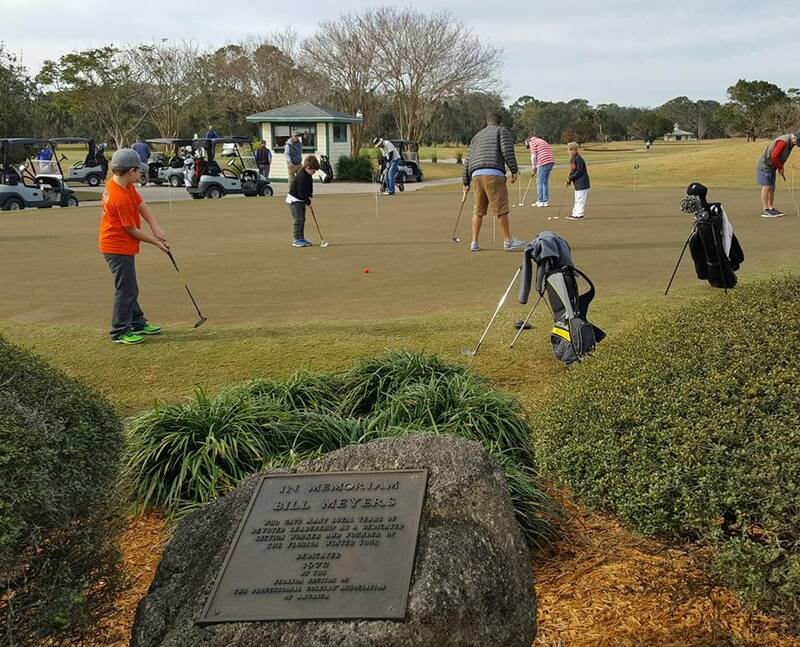 There is golfing challenge, nostalgia, and fun lining these fairways and the golfers and staff that you meet will make it a special day without a doubt! 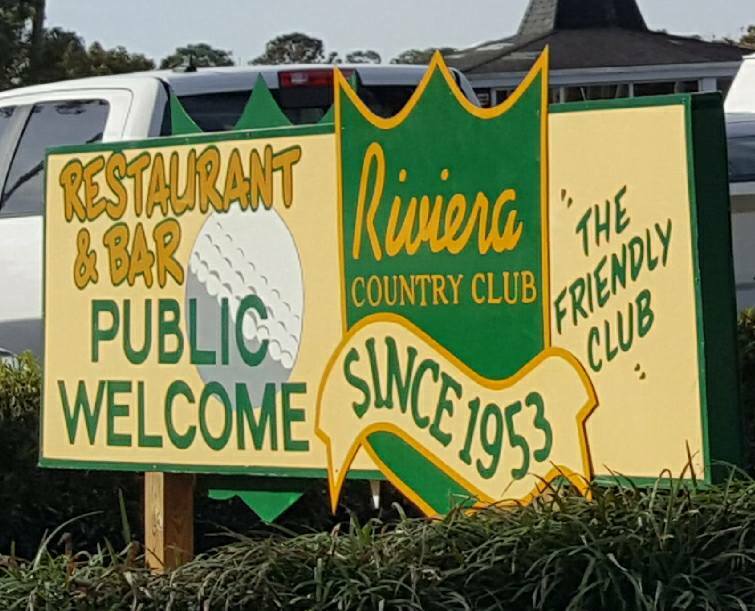 Originally opened as a nine-hole golf course in the late 1930’s, the Riviera Country Club has been owned since 1953 by four generations of the Meyers family—Franklin—Bill—Eric—and now Ryan with his Mom Charlotte! 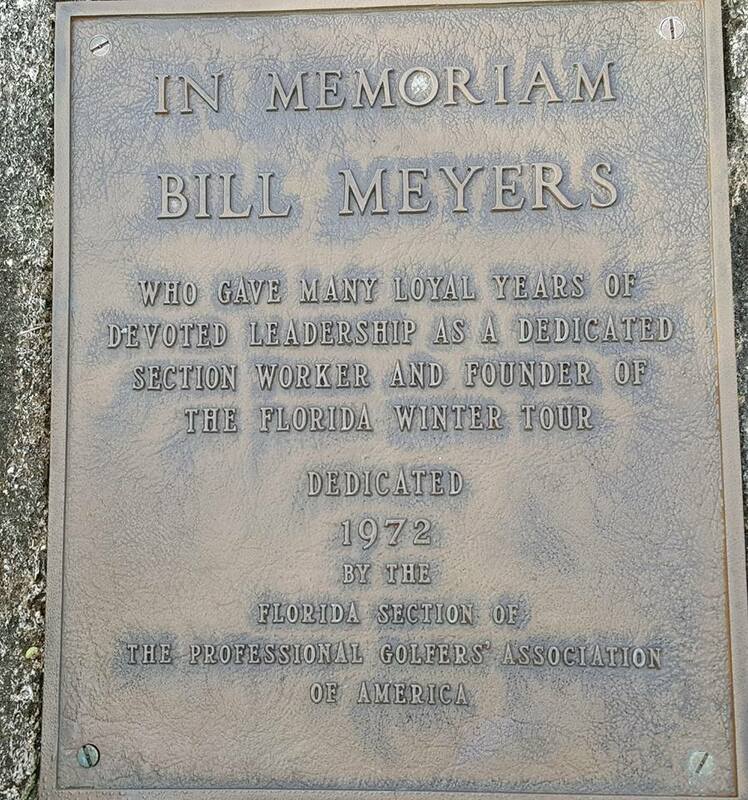 Seeing the future of golf Franklin Meyers immediately expanded the golf course to 18 holes in 1954. 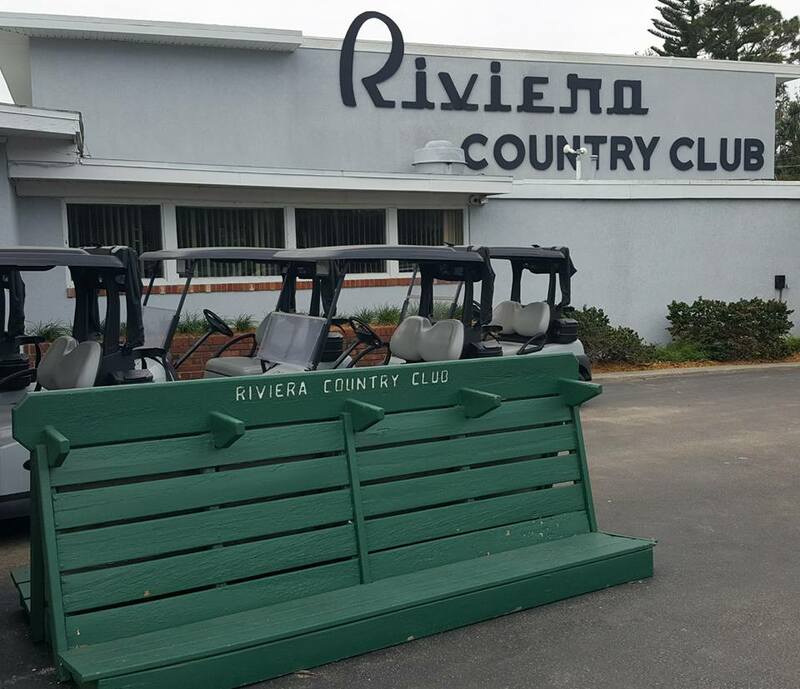 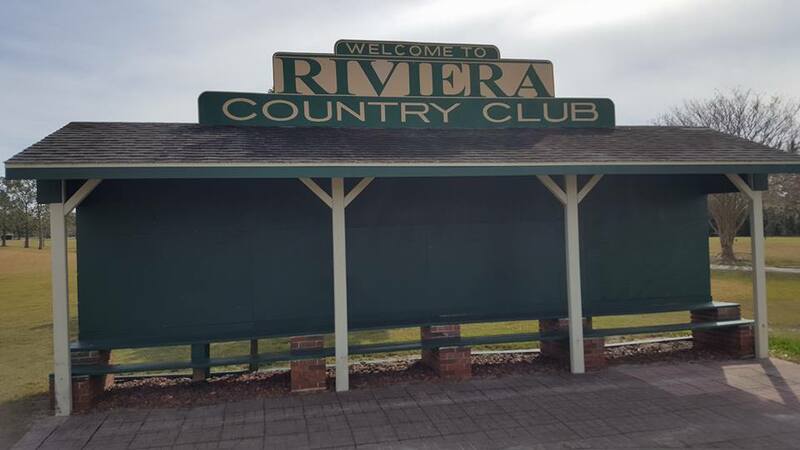 Architects Mark Mahana, Dave Wallace, and most recently Lloyd Clifton have all contributed over half a century to make ‘The Riv’ what it is today—an engaging golfing experience! 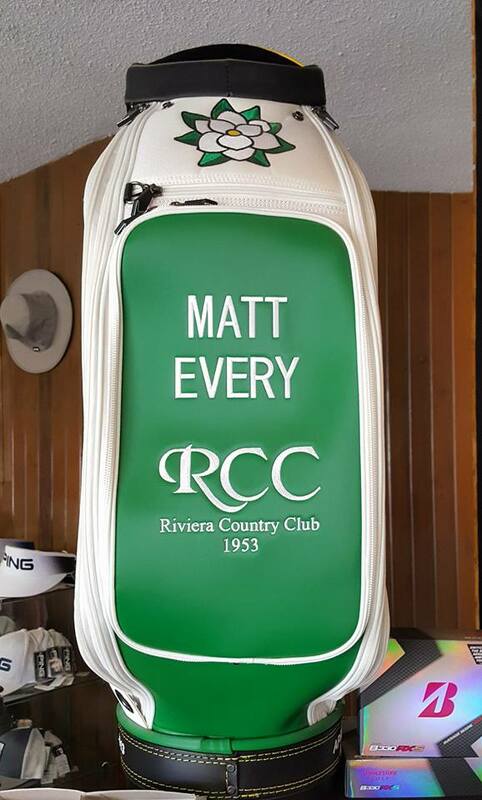 Ryan Meyers was an exceptional junior golf as was his friend Matt Every. 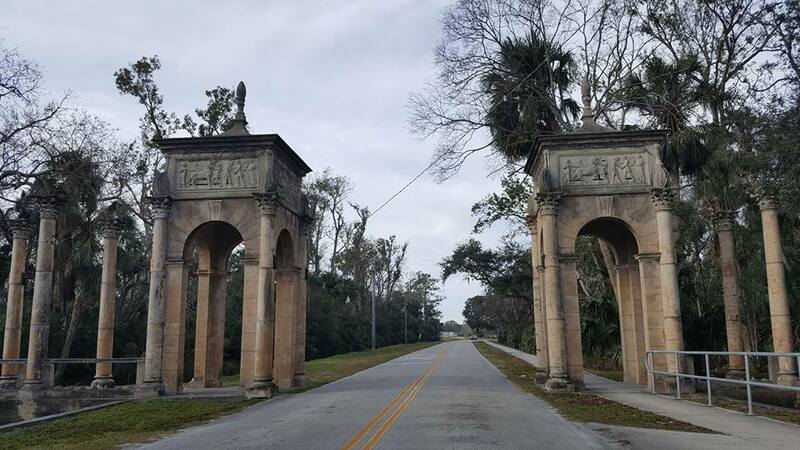 Every went on to play golf at the University of Florida, the Nationwide Tour (now Web.com), and ultimately the PGA TOUR. 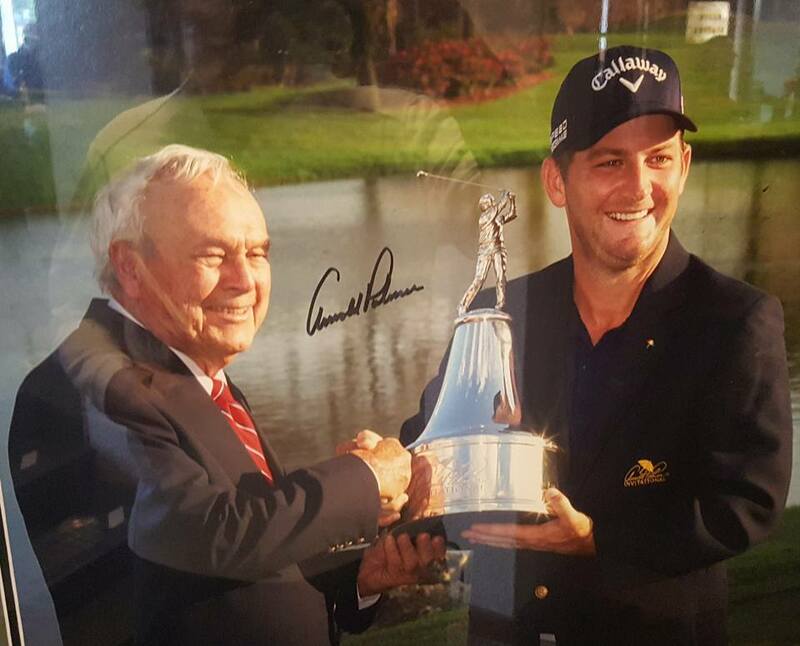 His back-to-back wins in the Arnold Palmer Invitational at Bay Hill being his greatest golfing accomplishment to date. 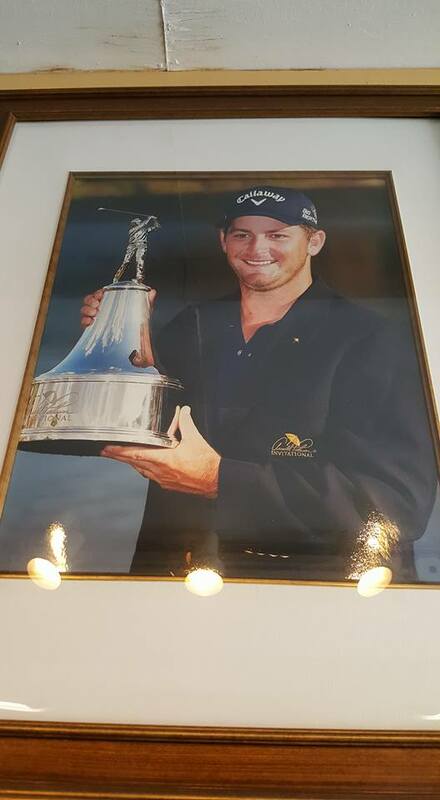 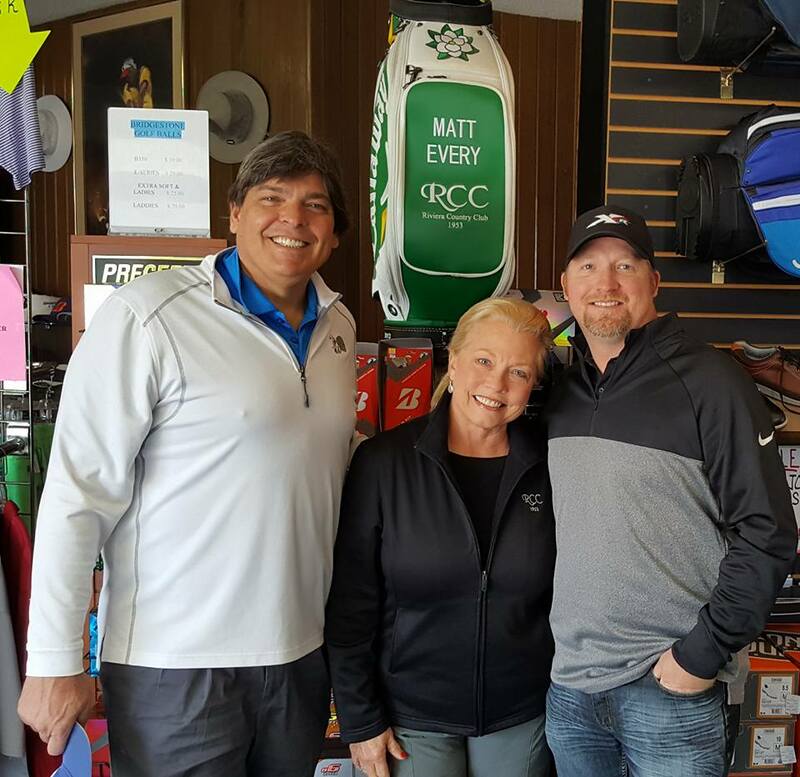 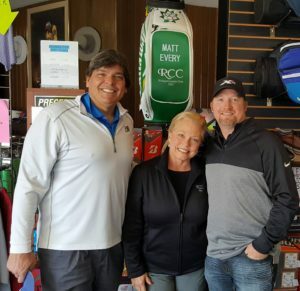 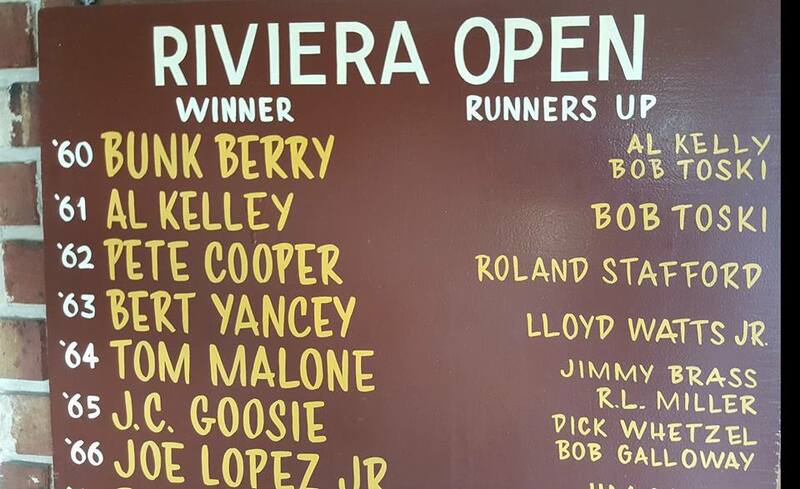 Palmer memorabilia and the Matt & Ryan friendship add to the allure of playing golf at ‘The Riv,’ if for only one time as a tourist! 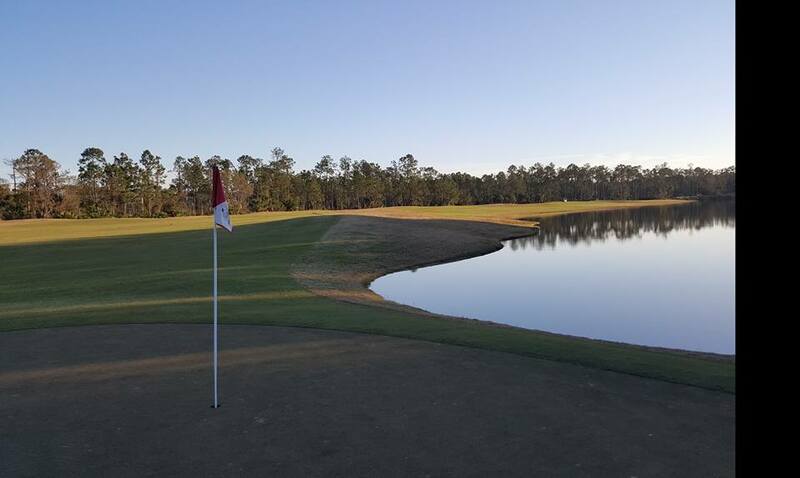 Here is a golf course with no tee sheets and a place you can call home if only for one day! 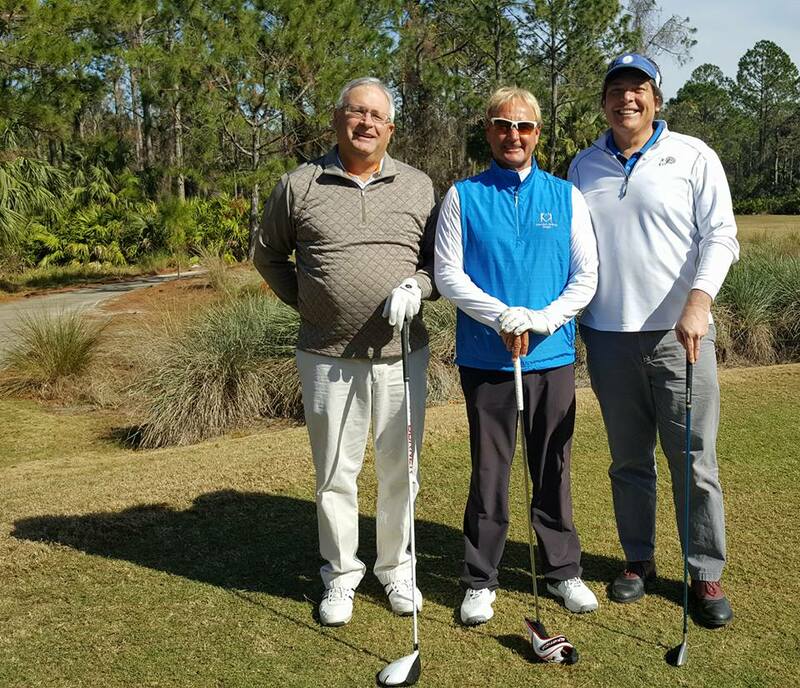 Playing with the GTWA Captain Bruce Vittner and fellow member Greg Wise is always an experience and this round was no different! 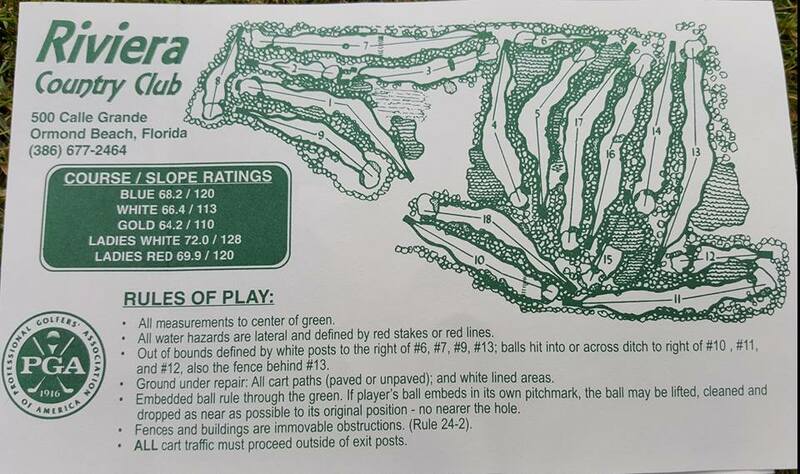 I managed to shoot a 79 as I did on the Old Course in St. Andrews, Scotland way back when. 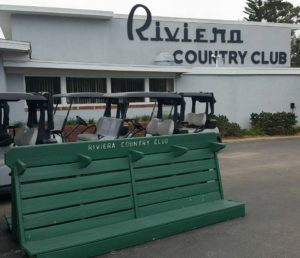 Playing ‘The Riv’ with these guys was a beautiful experience! 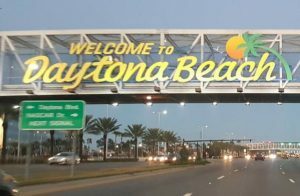 Daytona Beach has been home to the Daytona International Speedway and the Daytona 500 since 1959, the most prestigious race in NASCAR. 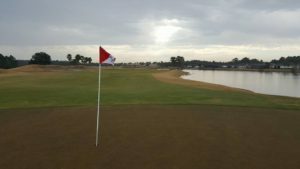 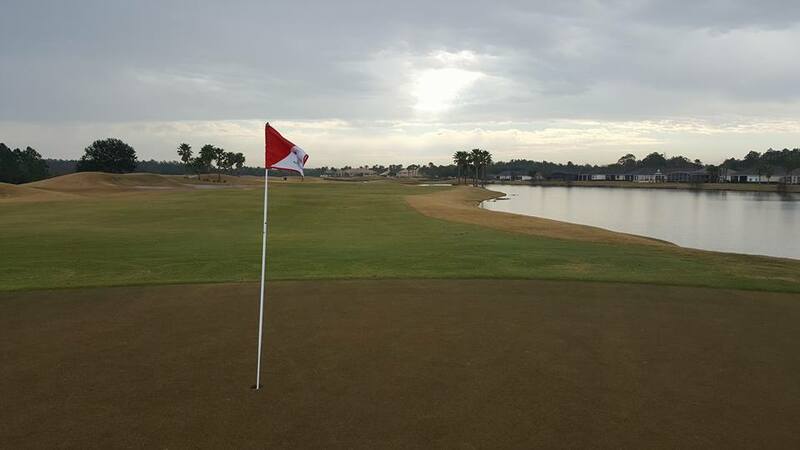 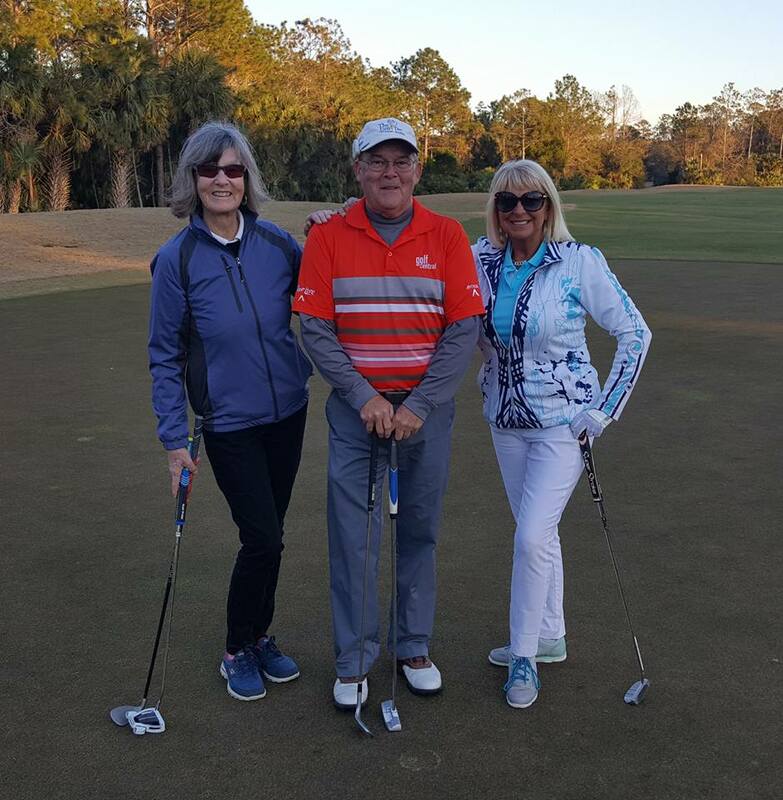 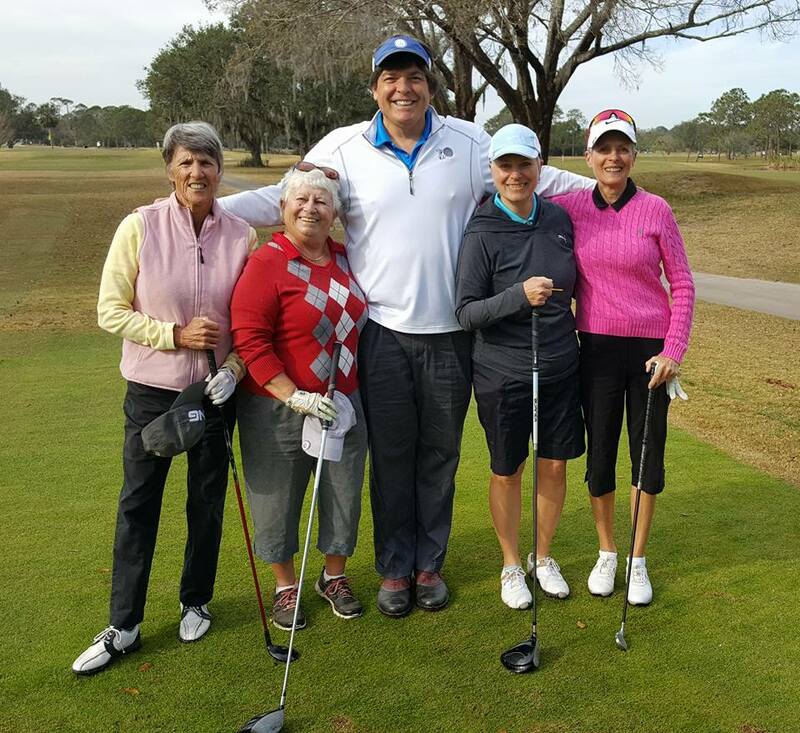 After enjoying the atmosphere of ONE DAYTONA for a night it was back to the LPGA International to play the Jones Course on Sunday morning. The opening par-5 1st hole on the Hills Course at LPGA International. 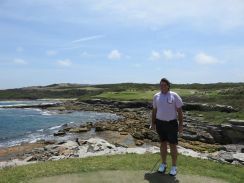 A traditional links-style course, the Jones is a great complement and contrast to the Hills Course. 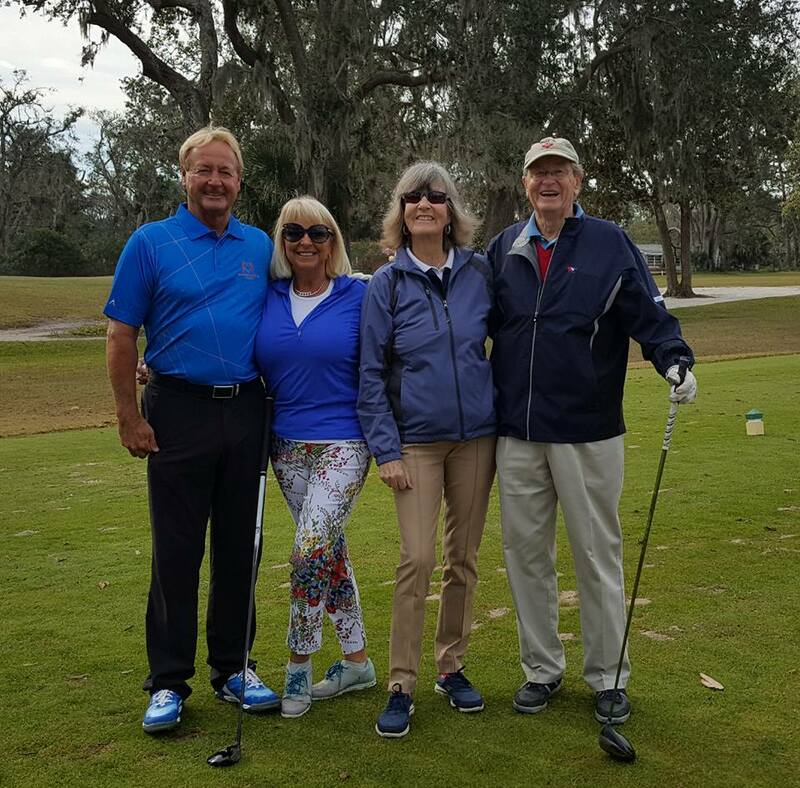 Playing with GTWA associates John Dyson, Alice Scott, and Greg Wise, we teed off in a brief downpour. 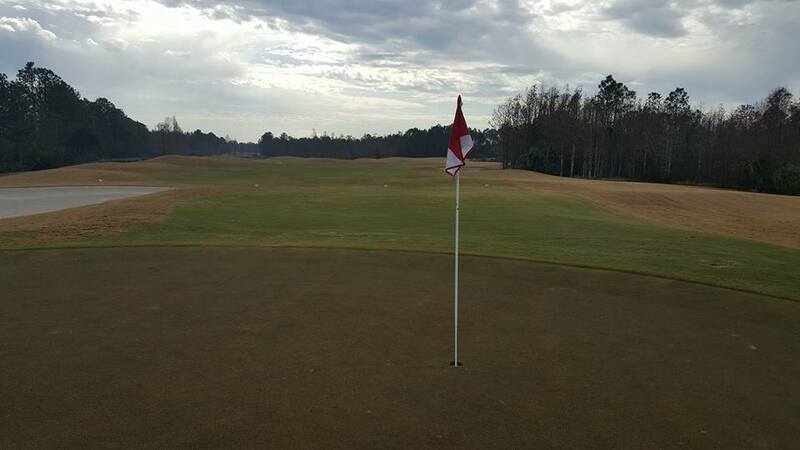 It was one of those disorienting starts on a well-designed dis-orienting golf course! 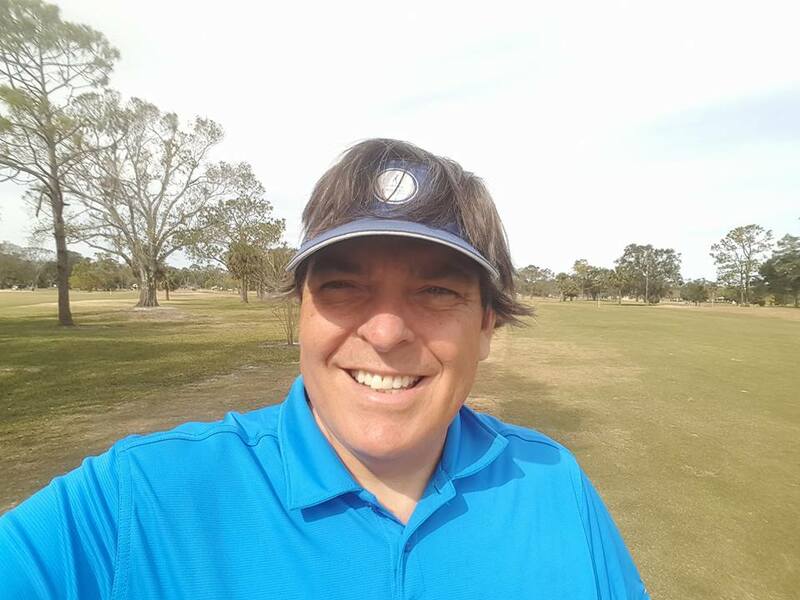 After double-bogeying the wet first, I settled down with two birdies on the 7th and 9th holes, a 9-iron to gimmie range (though I putted the golf ball into the cup as I always do!) 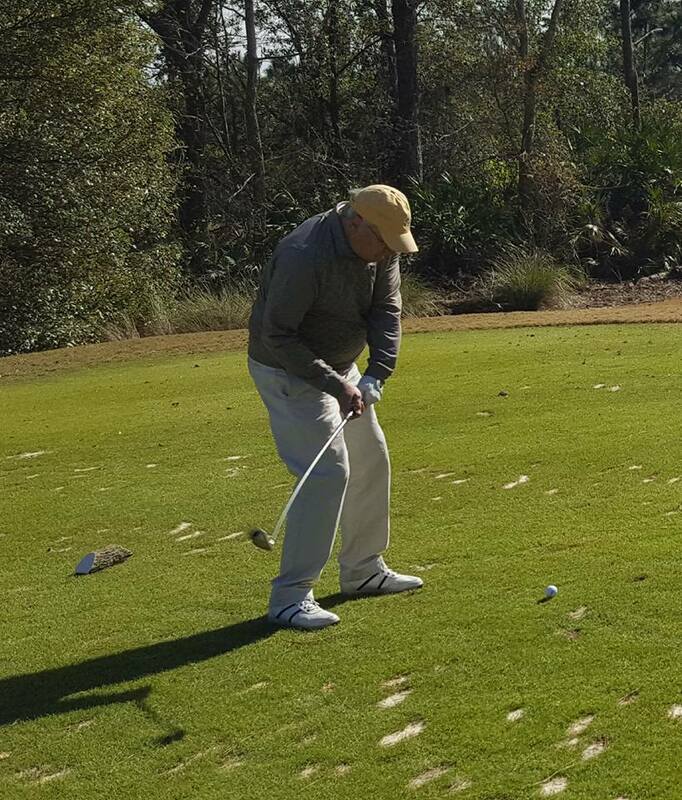 and another 9-iron that hit the flagstick stopping 10 feet away; respectively. 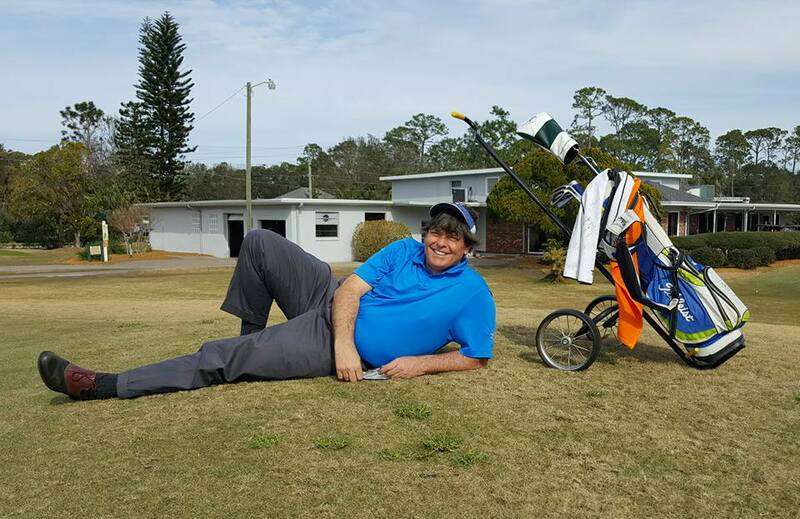 With no birdies on the second nine. 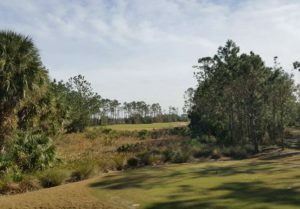 the strategic mounding, expanses of sand bunkers, natural marsh areas, beautiful lakes and undulating greens that is the Jones Course had its way with me. 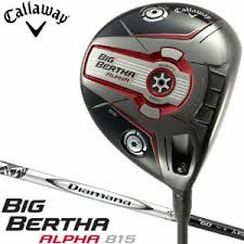 I ended up posting a disappointing but promising 82. 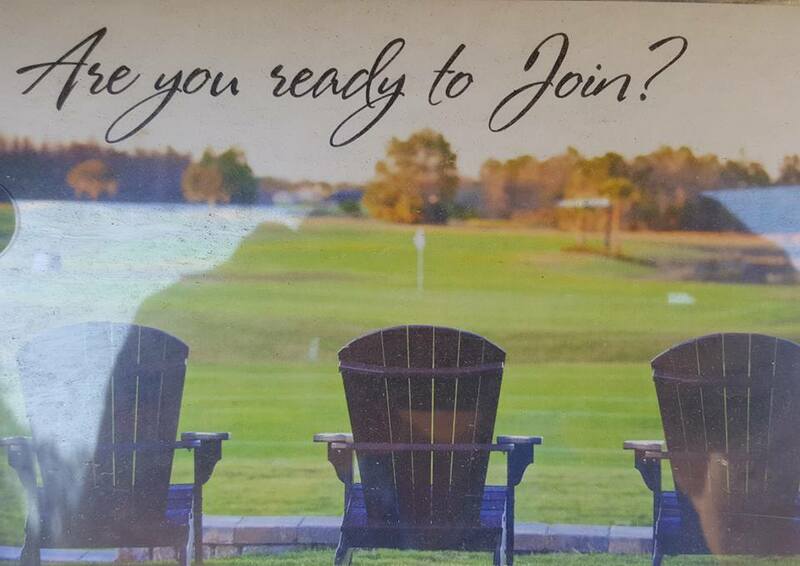 But isn’t that life and golf? 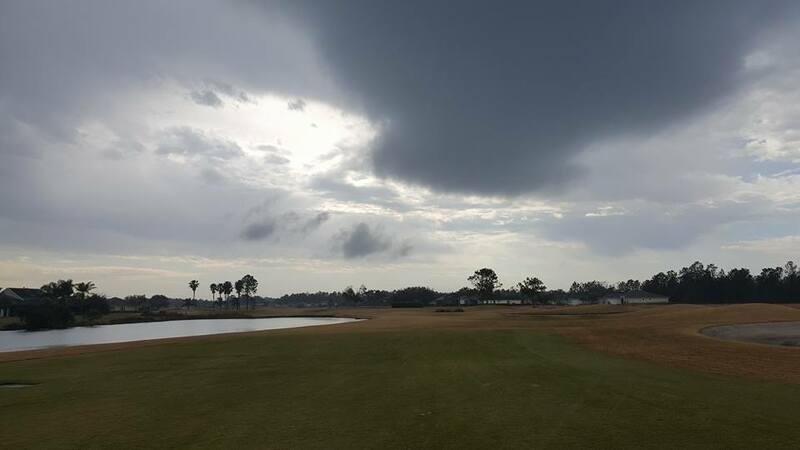 Start off in the rain, end in the sunshine, with a few birdies along the way! 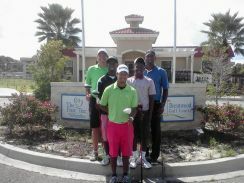 From “fairway to speedway” this GTWA golf trip was an amazing experience! 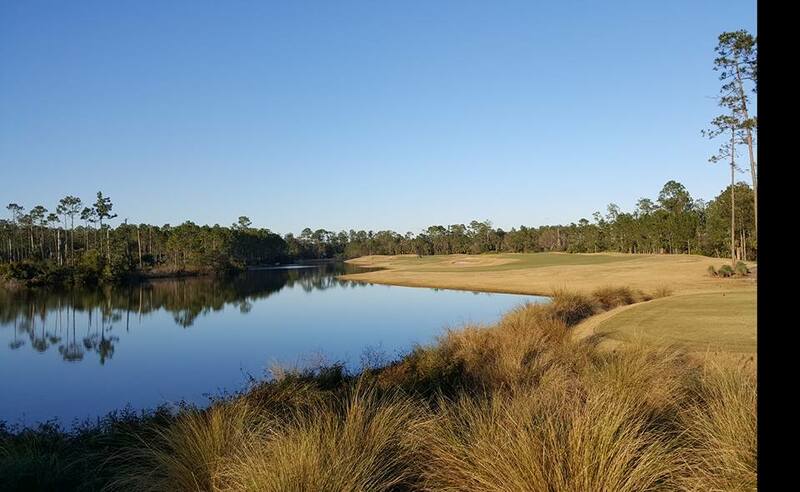 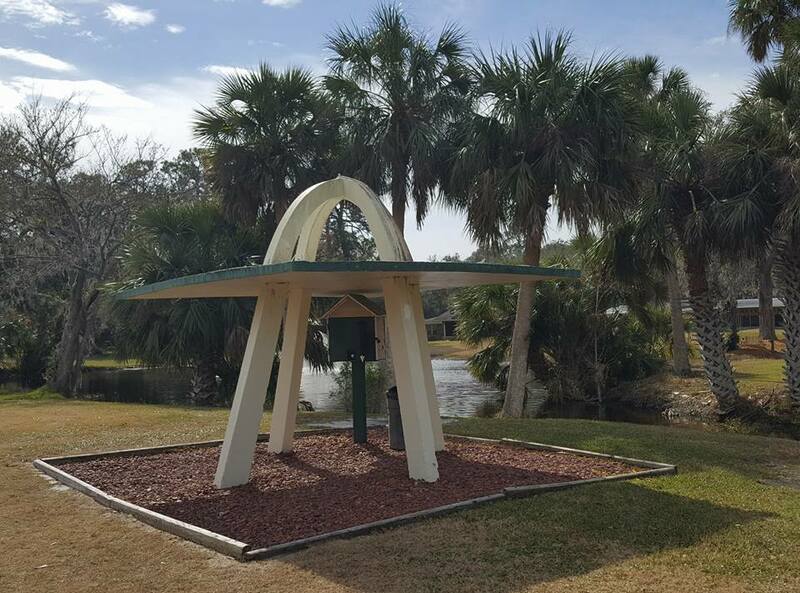 Daytona Beach, Florida: Golf Destination or ONE DAYTONA? 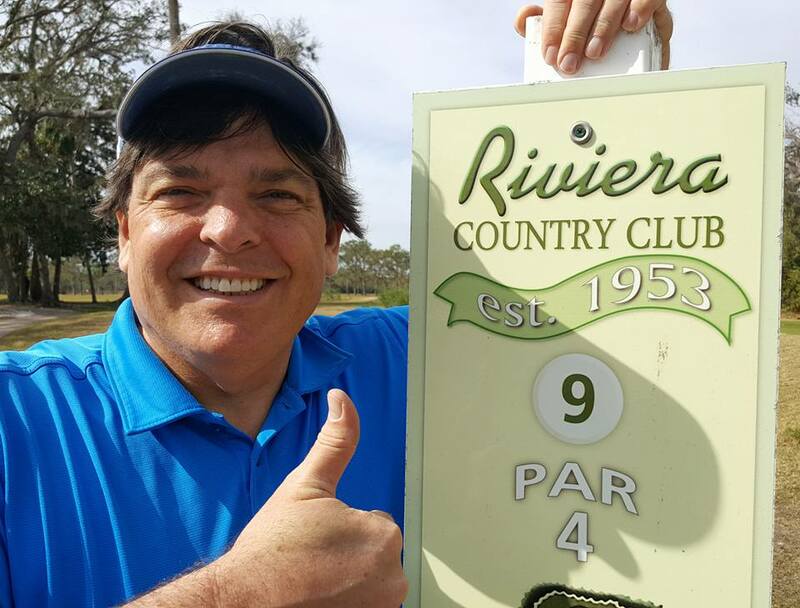 CLICK HERE for real-time posts from my visit to Daytona Beach! 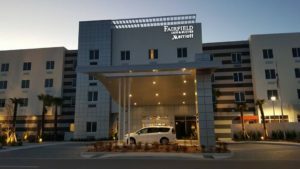 The beautiful & luxurious Fairfield Inn & Suites at ONE DAYTONA!